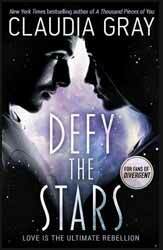 Defy the Stars (2017. 425 pages) is a young adult science fiction novel by Claudia Gray. She has previously authored several YA paranormal series (Evernight, Spellcaster, Firebird) as well as two Star Wars novels (Star Wars: Lost Stars and Star Wars: Bloodline). And what we find is a rather splendid science fiction novel which contains a rich vein of golden age science fiction writing with its focus on relationships, a general positive view of technology and a sense of wonder about both space and the myriad ways humans could exist in the universe. It’s the sort of book which Campbell would have been happy to have published. Science fiction aimed at a younger audience is not a new concept, indeed Heinlein, Asimov and, more recently, Orson Scott Card have shown that there is an audience for literature which is generally positive in its outlook. It’s not a denigration to say that this novel is genuine space opera. We follow Noemi and Abel as they go on a quest through the planets upon which humans are sometimes desperately clinging to a precarious existence through world obscenely wealthy, regardless of the overall suffering of humanity. Apart from the very odd point, which may disappear in the final book, I was sent a proof copy, Gray has written a very enjoyable novel which delves into what it means to be human and what we as a species own each other. The book is told from the perspective of both Abel and Noemi which allows us to be offered differing perspective to their strange accommodation. Thankfully Gray avoids the too well worn trope of the Pinocchio android wanting to become a real human boy, rather Abel’s transformation is both organic and believable. Neomi is a feisty firebrand, who thinks of nothing of throwing her life away for her people, their joint exposer to the realities of humanity amongst the stars fundamentally changes them both. The proof copy, whilst not finished, did have a place holder for a half title, which is usually the preserve of a series of books. In an odd way, I was hoping that this is the only book in this series, if not necessarily in this universe, as the ending was perfect and like a little gem should just be treasured and left as it is.